Good, but this is really just a book excerpt. A very brief ebook. Some interesting historical and up-to-date parenting facts and opinions were presented, but solutions to modern day parenting dilemmas were merely inferred. Carl Honoré - Carl Honoré was born in Scotland, but grew up in Edmonton, Canada. After studying history and Italian at Edinburgh University, he worked with street children in Brazil. This later inspired him to take up journalism and, since 1991, he has written from all over Europe and South America, spending three years in Buenos Aires along the way. His work has appeared in publications on both sides of the Atlantic, including the Economist, Observer, American Way, National Post, Globe and Mail, Houston Chronicle, and Miami Herald. His first book, In Praise of Slowness, was an international bestseller. 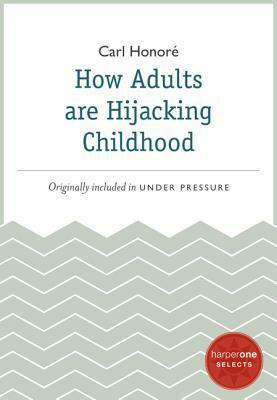 He is also the author of Under Pressure: Rescuing Our Children from the Culture of Hyper-Parenting.